Dunes are ubiquitous on deserts and coastal areas of our planet, as well as on Mars, Venus, Titan and even on the sea bottom. 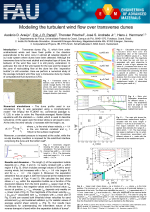 The quantitative understanding of dune morphology and dynamics can help us to develop efficient measures for preventing desertification and to improve our knowledge of sediment transport and wind regimes on planetary surfaces. Using a morphodynamic (continuum) model for sediment transport and dune formation, we investigate the genesis and dynamics of different types of dunes occurring in Nature. Our simulations account for varying flow directions, vegetation growth, groundwater level and topography. 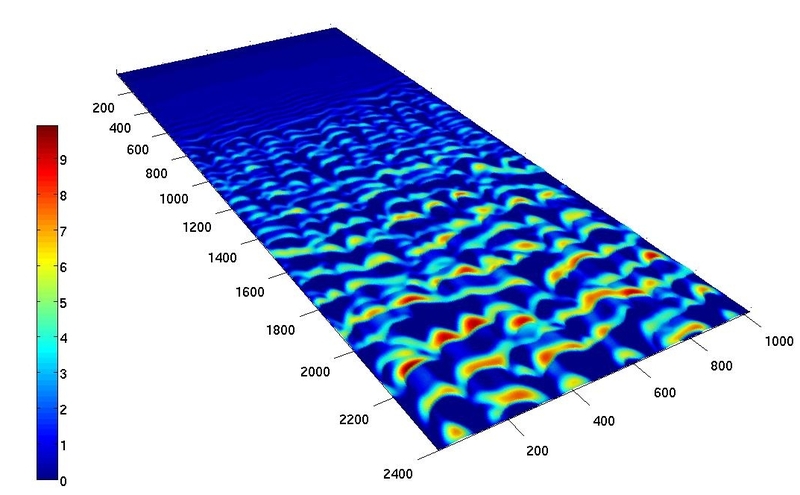 Moreover, Computational Fluid Dynamics simulations are used in order to investigate the characteristics of the turbulent fluid flow over the dune profile. Encyclopedia of Planetary Landforms. Springer. New York, NY.